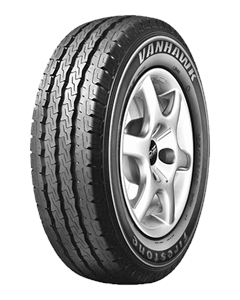 The first thing you notice about the Vanhawk is its strong, solid, modern looking appearance. This is due to its wider tread, which improves wear life and road grip, and the advanced pattern design that gives outstanding wet performance. But the real difference in the Vanhawk is found underneath the attractive exterior, where the construction, components and materials have all been designed for durability.